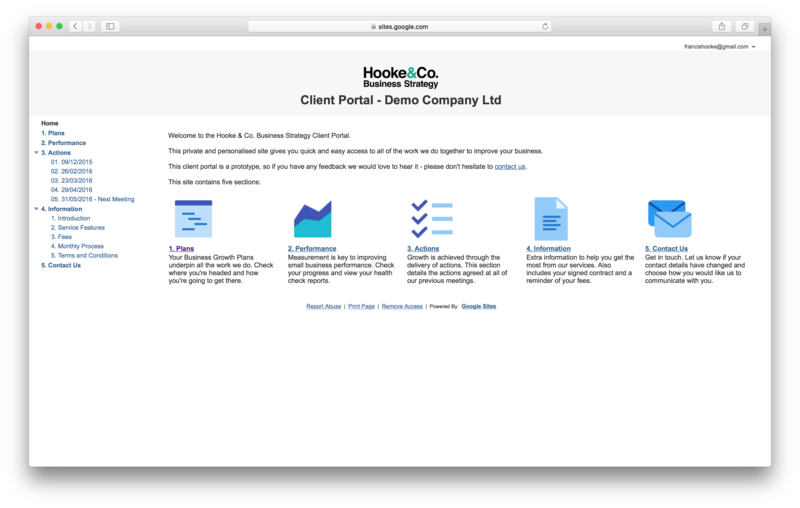 Our new secure, private and personalised portal gives clients fast and easy access to all the work we do to improve their businesses. HomepageEasy links to the five main functions in the portal. 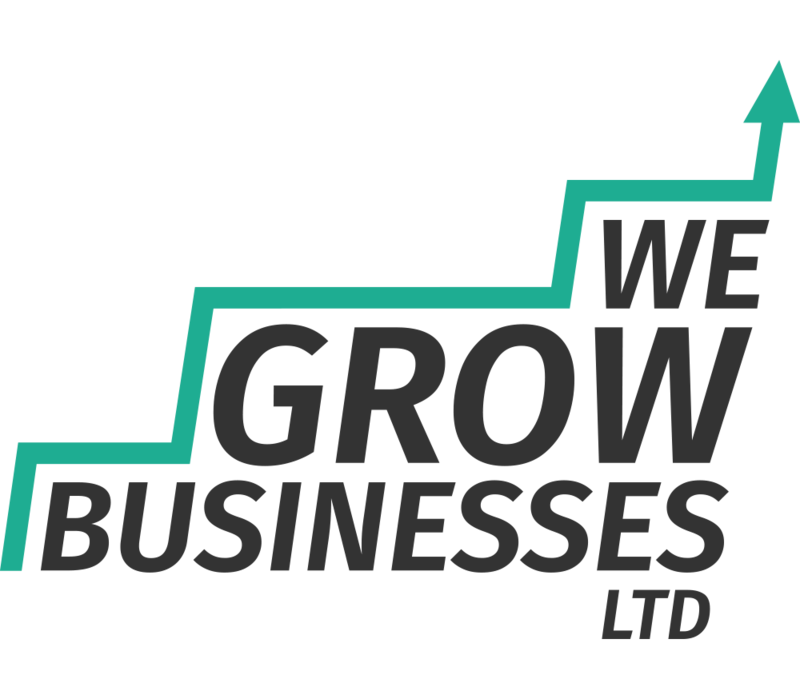 Business Growth Plans underpin all the work we do with our clients. They allow anyone to quickly and easily see where the business is headed and how it’s going to get there. We build two plans – one for the next 12 months, and one for the next five years. 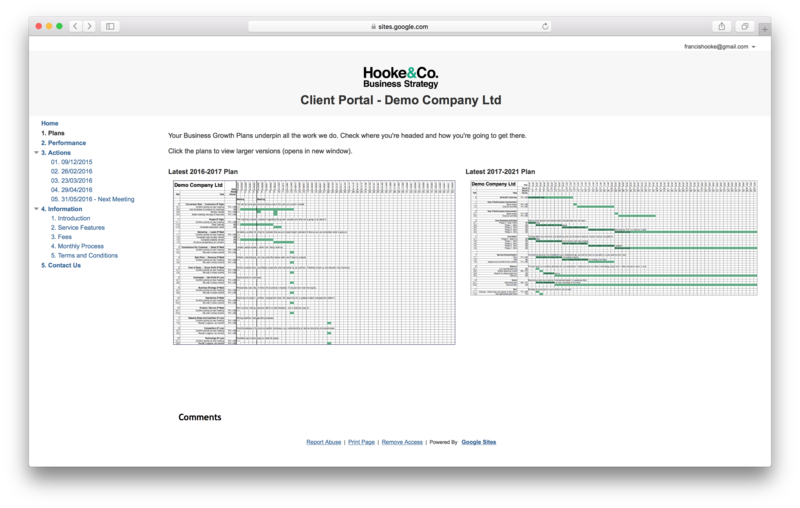 PlansThis page allows clients to see their near-term and longer-term business growth plans. We believe that measurement is key to improving small business performance. Using our Business Growth Health Check we analyse performance across 13 variables and plot the results as a radar diagram. We repeat the exercise each quarter and track performance over time, which produces the line graph. Clients can also see when their next quarterly health check is due. PerformanceGraph showing performance over time and radar diagram showing performance across different variables. Growth is achieved through the delivery of actions. This part of the portal details previous meetings and the actions that were agreed. Our clients can easily check what they need to work on and by when – so they can simply focus on getting the job done and maximising progress. ActionsA comprehensive record of all past and current actions. 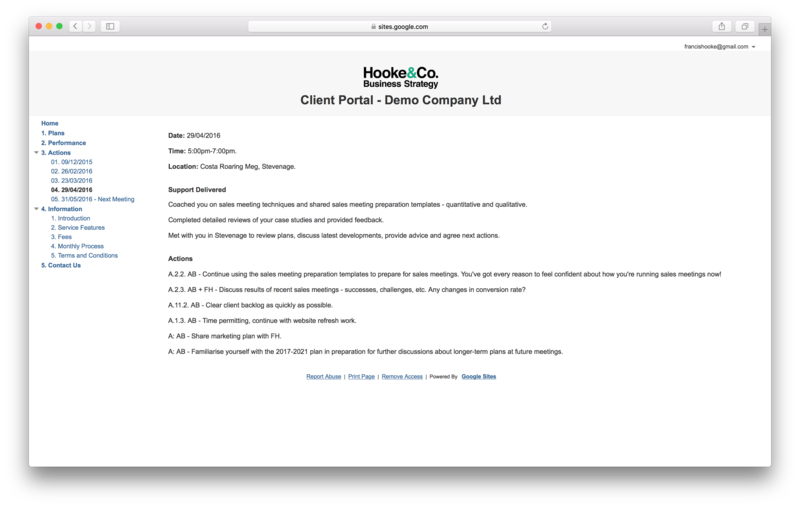 This section of the portal gives clients instant access to key pieces of information regarding the service. 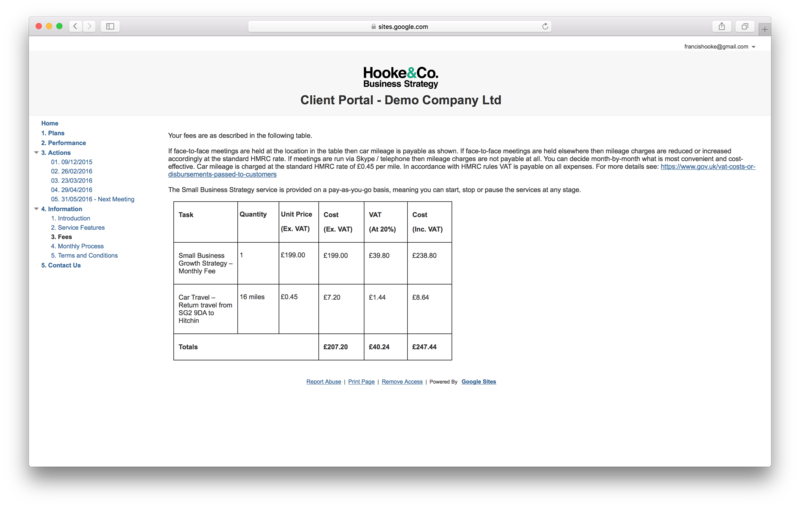 We include details on how to get the best from the service, a breakdown of fees (as pictured), a process map that shows how the monthly service is delivered step-by-step, and signed terms and conditions to read and download. InformationPages giving information about the service, such as fees (as pictured). Finally, this page provides the contact details for the team at Hooke & Co. Business Strategy – so clients can immediately get in touch if they wish. Clients can also update their communication preferences via an online form. Contact UsA very simple page giving clients all the contact details they need.